The annual tech-fest known as the Consumer Electronics Show (CES) is taking place Jan. 6- 9 in Las Vegas, and companies new and old have already unveiled their latest bells and whistles. Here are 10 newly introduced products with the most potential for the classroom. The DAQRI Smart Helmet is an augmented and mixed reality interface designed for industrial workers but with potential for educational augmented reality applications. 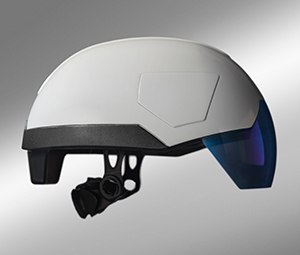 The helmet features a sixth generation Intel Core m7 processor with Intel RealSense technology; DAQRI's own Intellitrack computer vision and navigation technology; a 360-degree sensor array with high-definition video; and thermal vision sensors. The Smart Helmet will be available for purchase beginning in the first quarter of 2016. 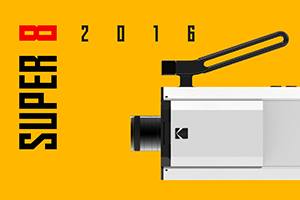 Super 8 is back, or at least it will be if the Kodak Super 8 Revival Initiative is successful. The initiative is "aimed at putting Super 8 cameras into the hands of a new generation of filmmakers as well as meeting the needs of top directors, indie filmmakers and others who appreciate the art and craft of filmmaking," according to information from the company. Kodak revealed an early prototype of its new Super 8 camera that combines the classic features of a Super 8 camera with digital functionality, and the ability to both record and play back movies. 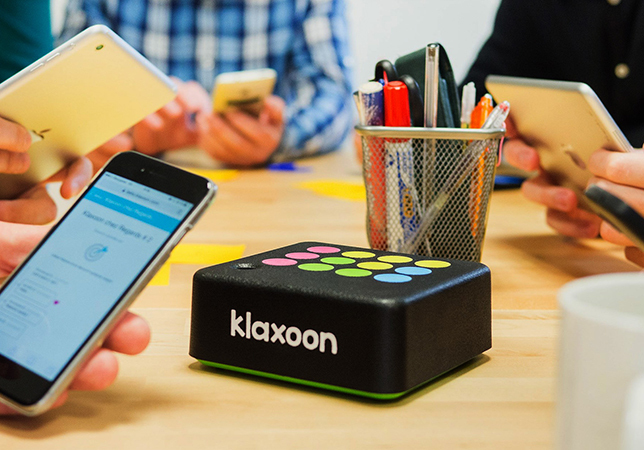 Klaxoon is a collection of tools designed to support online, interactive learning activities on any mobile device. 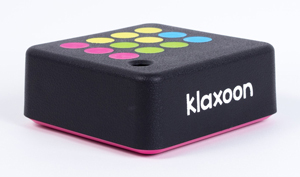 It includes the KlaxoonCloud software-as-a-service platform; Klaxoon Session for educators to upload their own content and create 20 different types of activities; Klaxoon Adventure to gamify learning; Klaxoon Reports to capture information from a session for review; and the KlaxoonBox portable hardware solution to let students access Klaxoon over a dedicated, private WiFi connection. 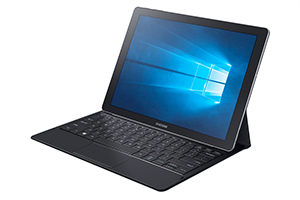 Samsung Galaxy TabPro S 2-in-1 tablet is essentially a Samsung Galaxy Tab tablet with a keyboard and the Windows 10 operating system. It's only a quarter of an inch thick and weighs 1.5 pounds. The device features a 12-inch super AMOLED (active-matrix organic LED) display, full-sized keyboard, touchpad and a flexible hinge for dual-angle viewing. The Samsung Galaxy TabPro S will be available in February 2016. Lenovo AirClass interactive virtual classroom software tracks students' engagement by capturing video from their personal webcams and applying emotion-analyzing software. Both instructors and students can use the dashboard to access documents, photos, video sharing and live chat, and entire classes can be recorded and played back in the sequence in which events occurred. While Chromebooks certainly aren't new to education, the latest offering from ASUS deserves a mention since it is designed specifically for the rigors of classroom use in a market that has embraced the platform. 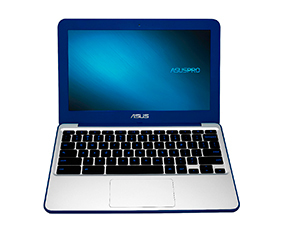 The new ASUS C202 Chromebook features a wraparound rubber bumper with reinforced corners, spill-resistant keyboard, scratch-resistant finish and shockproof solid-state drive. According to information from ASUS, the C202 has been "subjected to military-grade reliability tests and is best in its class for drop-test survival." Panasonic's prototype rug speakers can be built into the carpet, and controllers can direct their sound toward or away from specific people — a feature with potential for libraries and informal learning spaces. Hanvon Pentech has developed a pen that works with all-in-one touchscreen TVs. The pen uses electromagnetic resonance touch (ERT) technology with a 2,048 pressure level and a 5,080 lines per inch (LPI) resolution. According to the company, the pen gives users more accuracy and control when writing or drawing on a touchscreen display. XYZprinting introduced a slew of new 3D printers and related products at this year's CES, including two designed specifically for education. In addition, the company announced XYZ STEAM, an online curriculum exchange program for science, technology, engineering, arts and mathematics (STEAM) education. Through the program, educators will have access to education curricula, including downloadable 3D printing models, assembly instructions, photos, videos and operation instructions, as well as discounted 3D printers and 3D printing tools for teachers. Another education offering from XYZprinting, XYZmaker, is a 3D modeling app designed to make 3D printing technology more accessible by expediting the process from design to printing. The Windows version of the XYZmaker 3D modeling app will be available for download in the first quarter of 2016, with Android and iOS versions slated for release in late 2016.